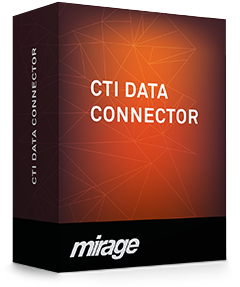 CTI Data Connector easily integrates in applications like CRM or ERP systems by providing a comprehensive SDK. You can request a 30 days trial version of CDC Enterprise Edition. You can request a live demo to get an idea about the functional range of the Mirage Software. Our sales will contact you by phone or Skype to discuss your requirements, consult you regarding the product which will fit your needs and arrange a date for the web meeting. To arrange a personal live demo, e-mail your phone number or Skype name, link to your company website and the product name you are interested in to sales@mirage-systems.de.